This is a very exciting project. 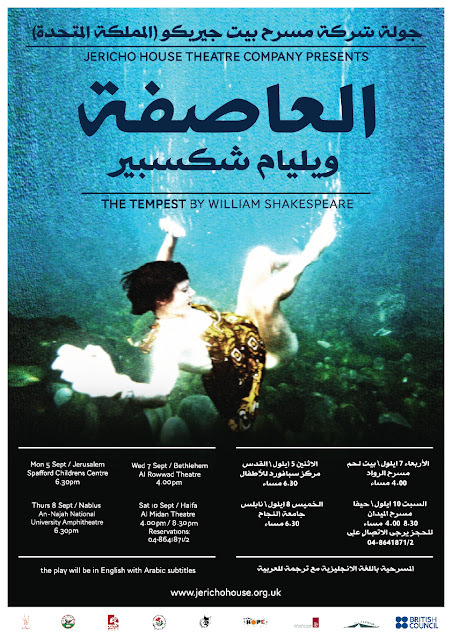 Jericho House, an award-winning UK theatre company are about to world premiere a brand new production of The Tempest with a tour of Palestine. 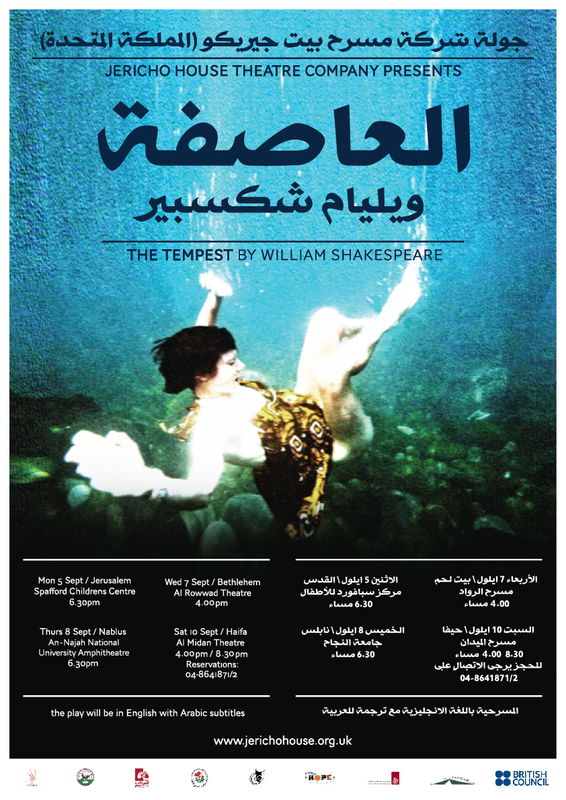 They'll be performing in Jerusalem, Bethlehem, Nablus and Haifa in early September. From what we understand the production also includes the performance of the original musical score - which the director, Jonathan Holmes, discovered when researching the play in Oxford's Bodleian Library. So this play has not been performed with the original score in living memory. This is their poster, and you can check out their Facebook page.